Here’s what’s happening in the world of television for Sunday, June 10. All times are Eastern. 72nd Annual Tony Awards (CBS, 8 p.m.): More than 13 million people went to Broadway shows last year; how many of those people do you think will be watching the Tonys this year? 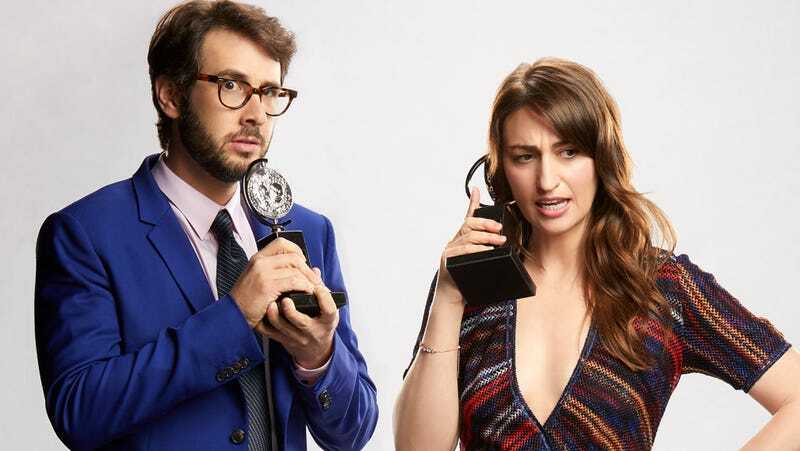 Tonight’s presentation features first-time hosts Josh Groban and Sara Bareilles, with presenters like Uzo Aduba, Matt Bomer, Claire Danes, Tatiana Maslany, Leslie Odom Jr., Jim Parsons, Zachary Quinto, and Andrew Rannells. Musicals Mean Girls and SpongeBob SquarePants are up for the most awards, and given the hosts, more musical moments on stage are a given. We wish them good luck and all, but Neil Patrick Harris kind of set the Tony opening number high bar up into the stratosphere in 2013. No pressure. Caroline Siede is much nicer than we are and is going in with no expectations.